These are all the videos currently available. You may purchase an individual series, such as "How to Reboot Your Retrospectives" or the entire series. 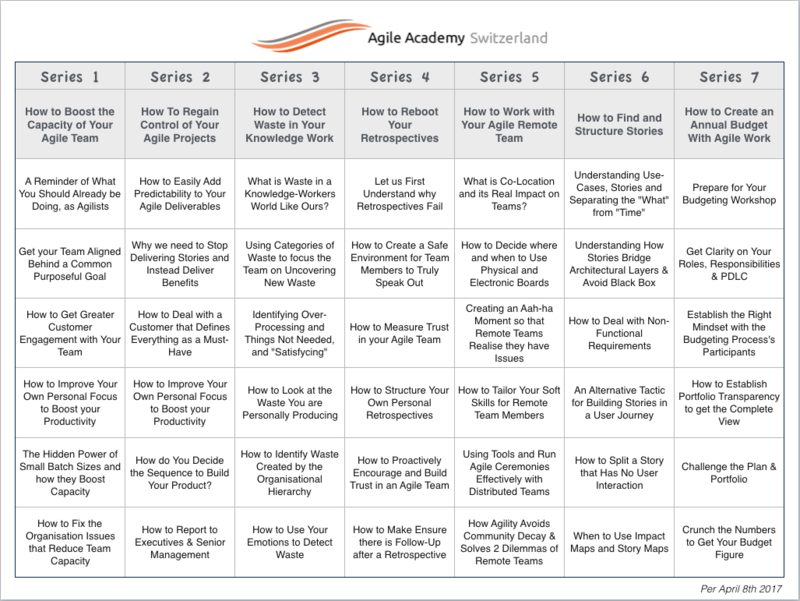 Series 1 "How to Boost the Capacity of Your Agile Team" is available for free by clicking here and following the instructions.